South/Bartlett’s Amber Steinhilpert looks through her frosty visor. South/Bartlett faced Service/East in girls high school hockey on the outdoor rink at Ben Boeke Arena during a snowfall on Friday, December 14, 2018. 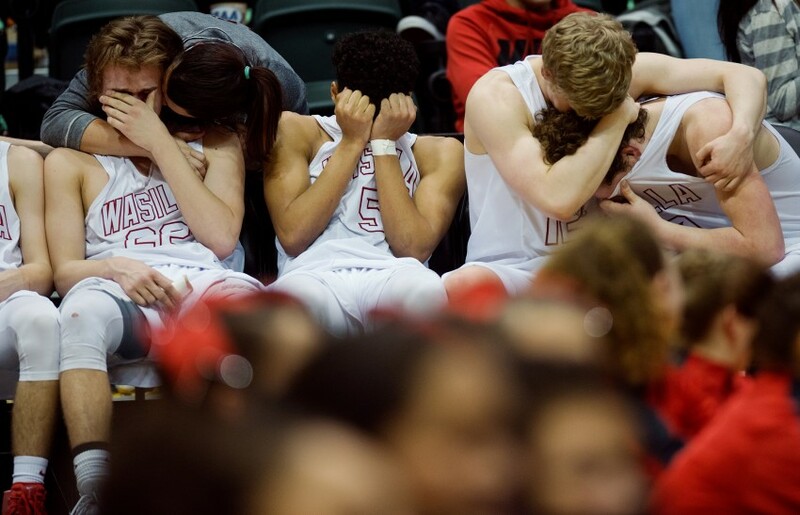 The Wasilla Warriors feel the sting of a loss in a close championship game after it ended. 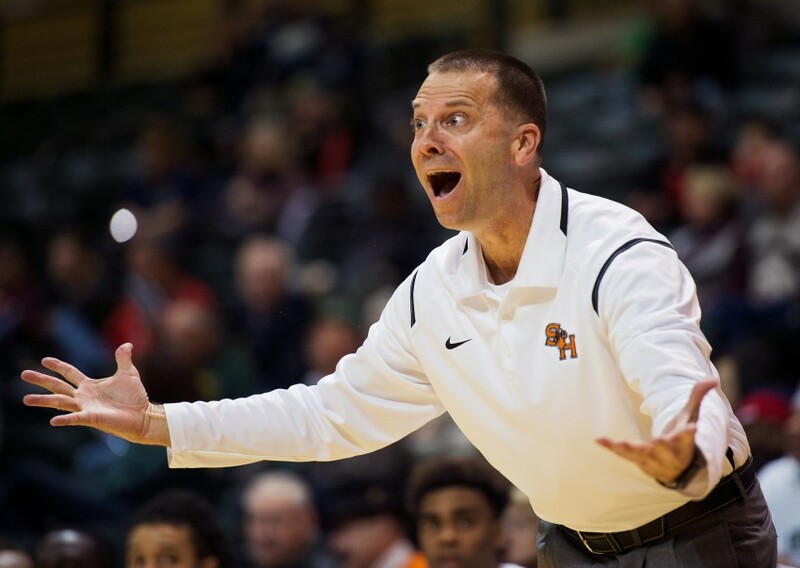 Dimond beat Wasilla in the boys 4A State championship basketball game at the Alaska Airlines Center on Saturday, March 25, 2017. 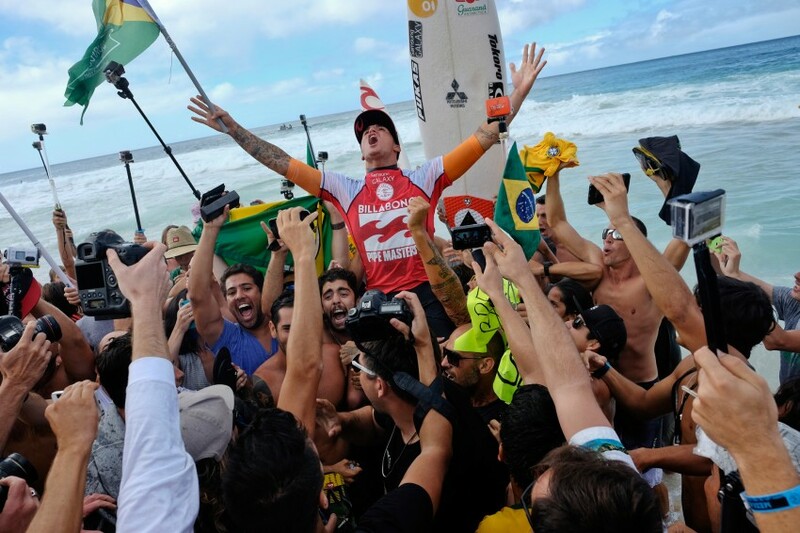 Gabriel Medina of Brazil celebrates with fans after he was officially declared the 2014 champion of the Association of Surfing Professionals on Friday, December 19, 2014 during the Pipe Masters surfing competition on Oahu, Hawaii. It was the first time the title had gone to a Brazilian. 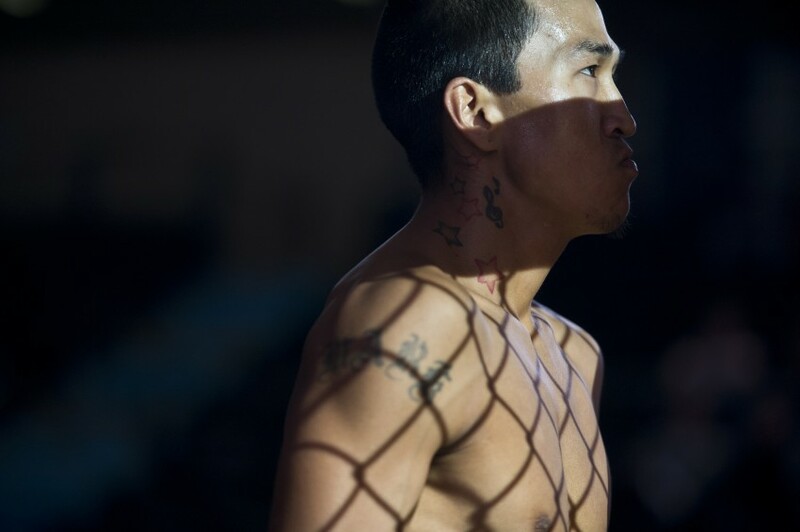 Marv Alexie enters the cage for his fight against Joshua Farmer. Alexie said he was a successful wrestler back in high school in Tuluksak, Alaska. Now 29, he has a newborn at home in Anchorage, and fighting motivates him to stay fit with the limited time he has. “Most of all it relieves stress for me,” he said. 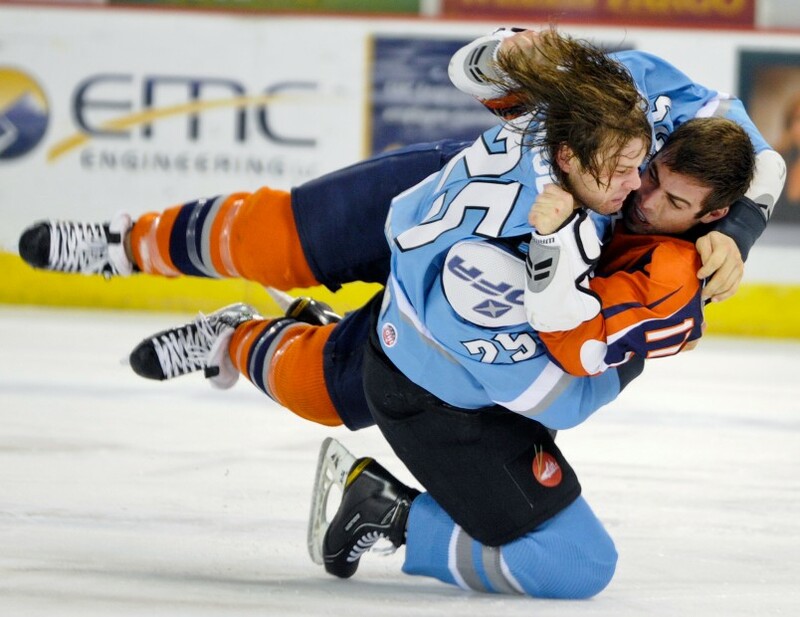 Alaska’s Dustin Molle takes Ontario’s Jason Beeman to the ice during a first-period fight on Friday night, January 11, 2013. Both players were ejected with game misconduct penalties after the fight. Crow Pass Crossing racers begin the descent from the vicinity of Raven Glacier toward Eagle River in Chugach State Park on Saturday, July 23, 2016. 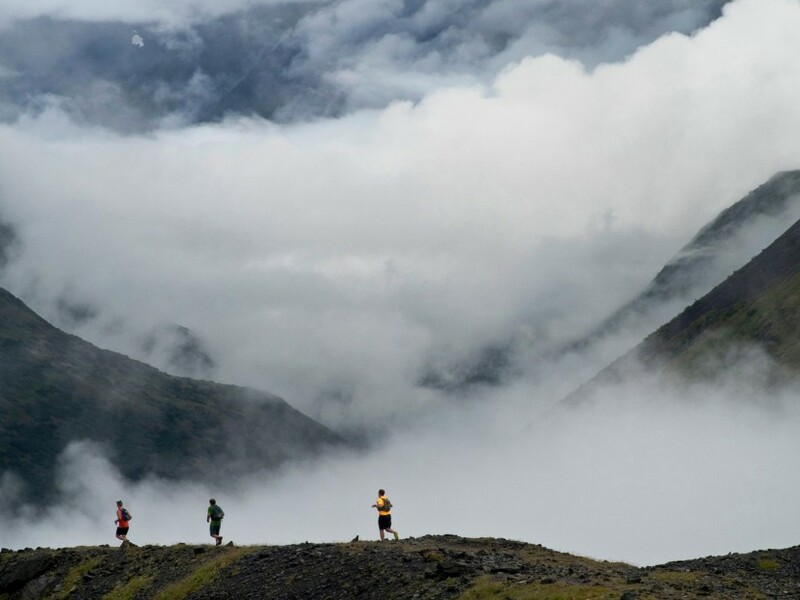 The 22.5-mile backcountry marathon begins at a trailhead near Girdwood and ends at the Eagle River Nature Center. 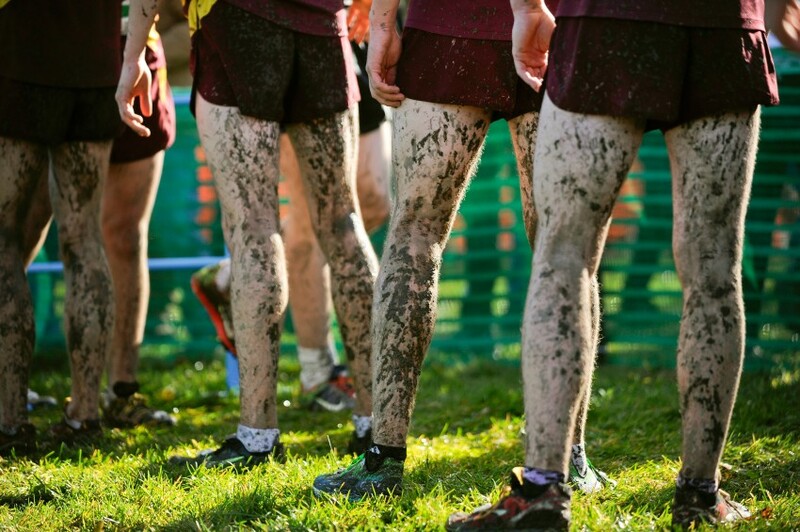 The muddy Grace Christian boys runners line up to congratulate other racers in the 1-2-3A boys race at the finishing chute. The state’s fastest cross country runners and teams competed at the State Championship meet at Bartlett High School on Saturday, September 29, 2012. 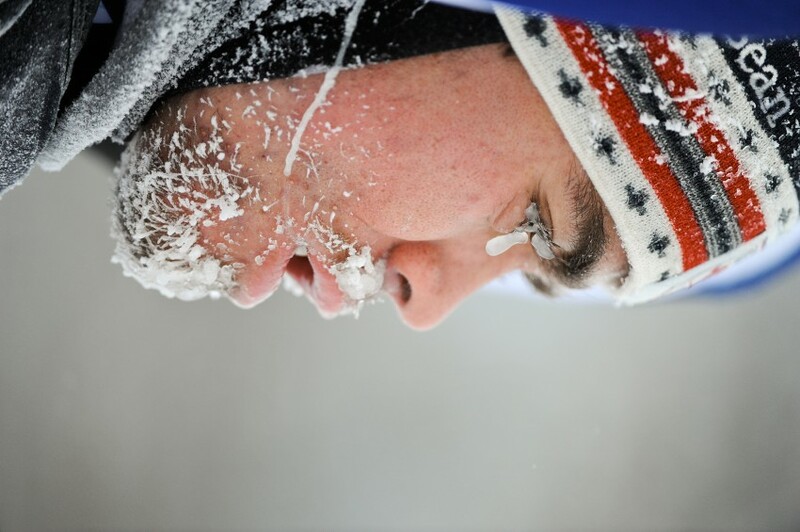 Ice clings to Raleigh Goessling of Maine Winter Sports Center as he leans over to catch his breath after crossing the finish line at Kincaid Park Friday. The final day of racing at the World Youth/Junior Biathlon Team Trials featured a sprint race at Kincaid Park on Friday, December 30, 2011. 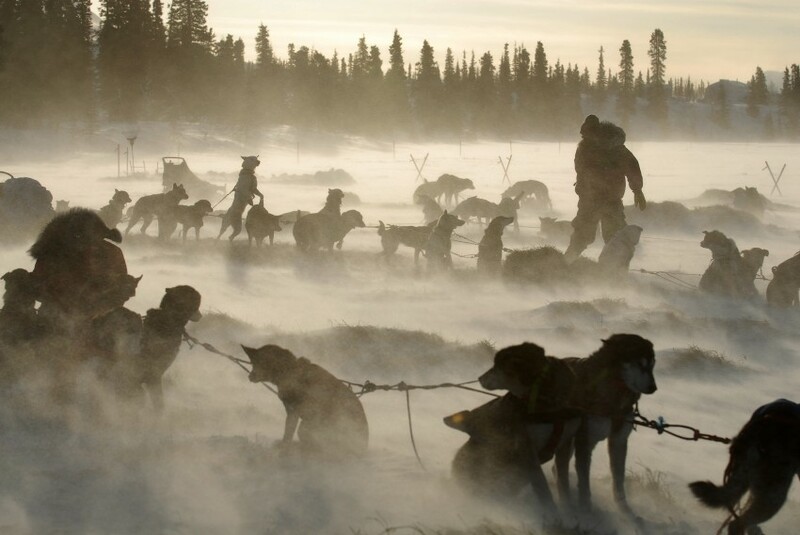 The last few remaining teams, including Homer’s Trent Herbst, top right, prepare to depart from the Rainy Pass checkpoint Wednesday morning in windy conditions on Puntilla Lake on March 8, 2006. 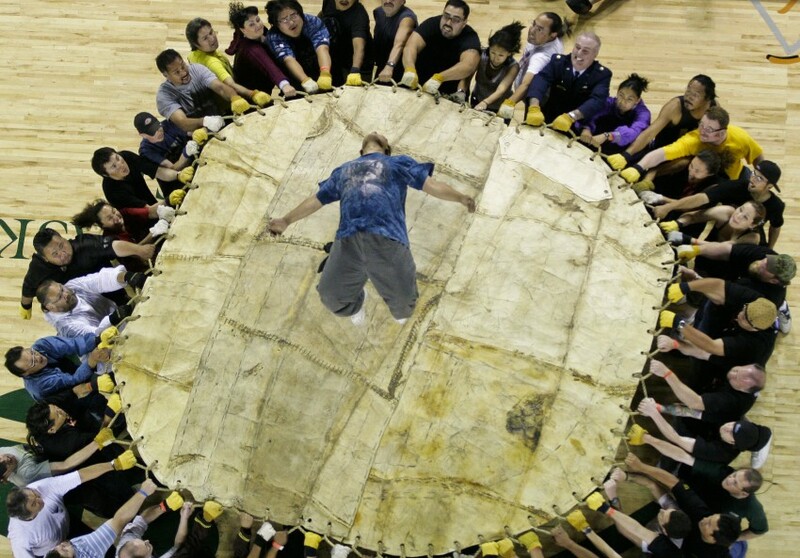 Preliminary competition gets underway in the men’s blanket toss event late Thursday, July 19, 2007, at World Eskimo-Indian Olympics. Kendall McVay yells in support of the Greatland Packers on August 26, 2018. McVay won an offensive MVP award as a Packer in 2015. This season he plays for the Arctic Seahawks. 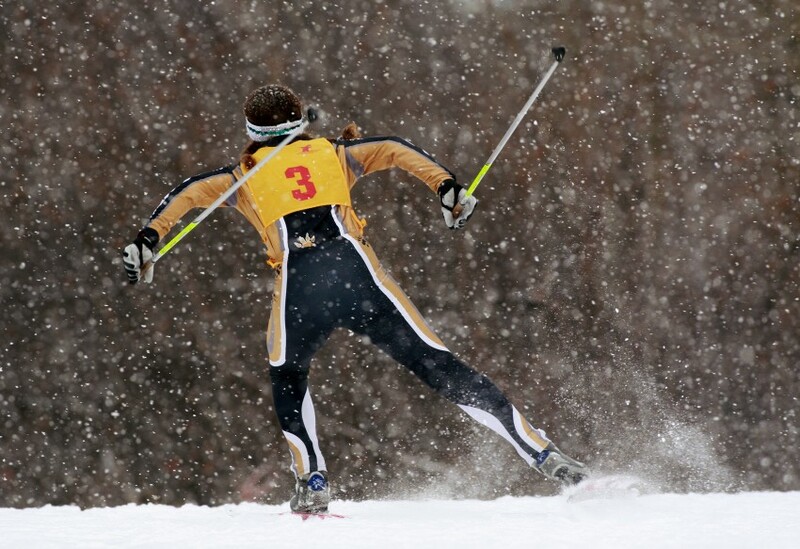 South Anchorage skier Liz Conway skates the third leg of the girls 4×3-kilometer relay race on the first day of the Cook Inlet Conference cross-country skiing championships at Kincaid Park on Friday, February 16, 2007. Anchorage area high school skiers competed in a 10K freestyle cross country race at Bartlett High School on January 31, 2009. 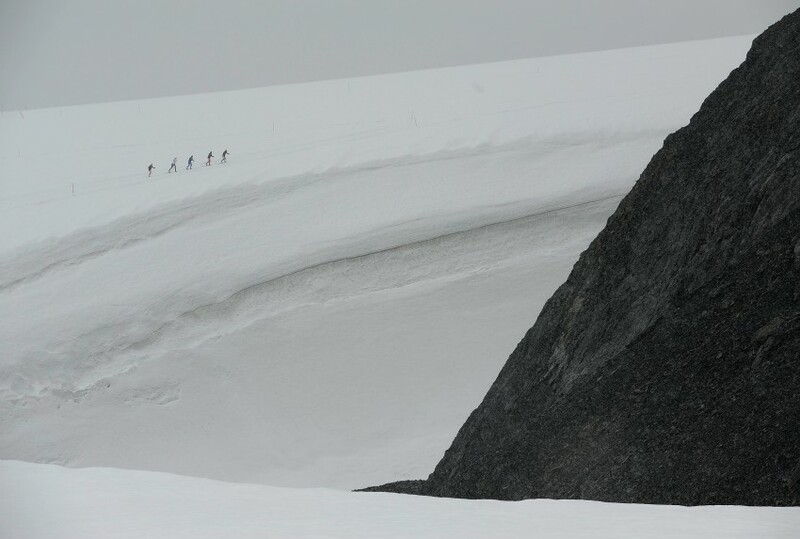 Members of the U.S. and Canadian cross country ski teams train on Eagle Glacier in the mountains above Girdwood, Alaska. 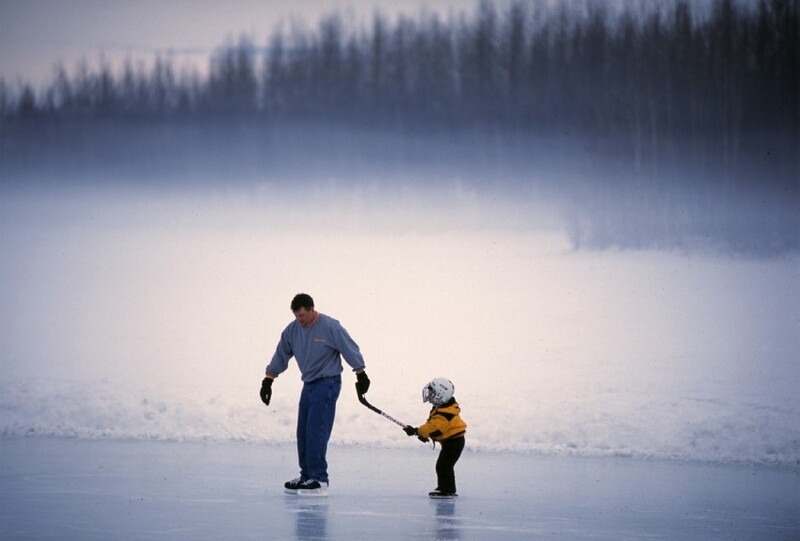 Alaska Pacific University operates a training center on the glacier and shuttles skiers there by helicopter. 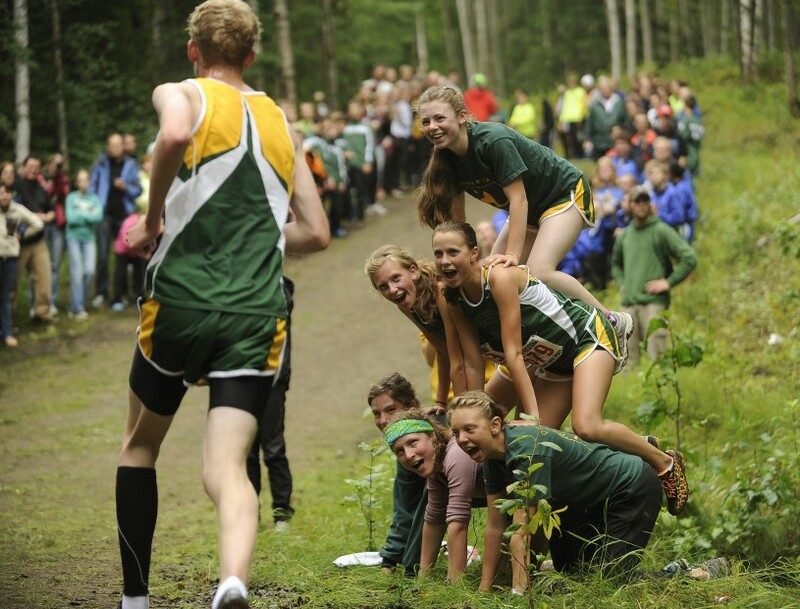 Members of the Service High girls team form a pyramid to cheer a teammate in the boys race. About 25 schools from around the state participated in the Bartlett Invitational cross country meet on Saturday, August 20, 2011. 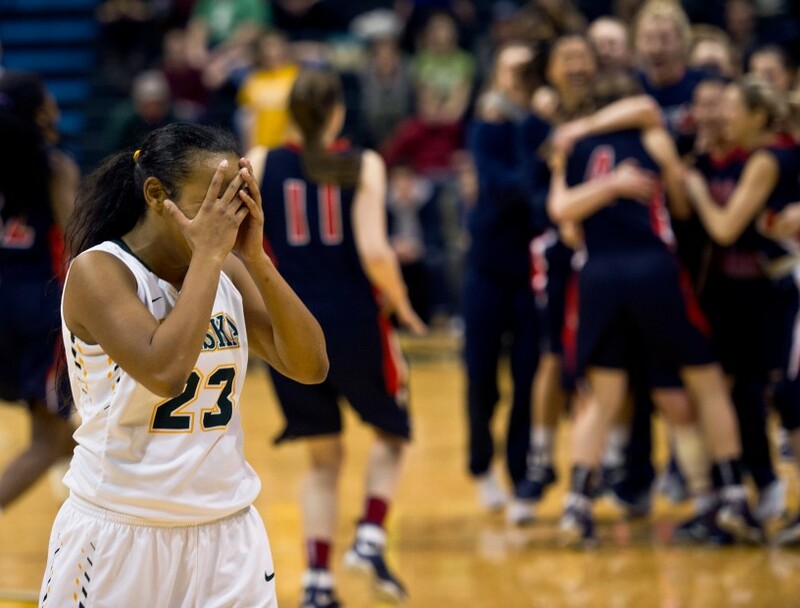 University of Alaska Anchorage guard Kiki Robertson shows disappointment after the final horn as the Simon Fraser Clan celebrate. UAA women’s basketball was defeated by Simon Fraser, 80-70, in the second round of the NCAA Division II West Regional Championships on March 11, 2017. The Colony Knights jump up and down in unison before the start of their football game against Wasilla on Friday, March 12, 2008. 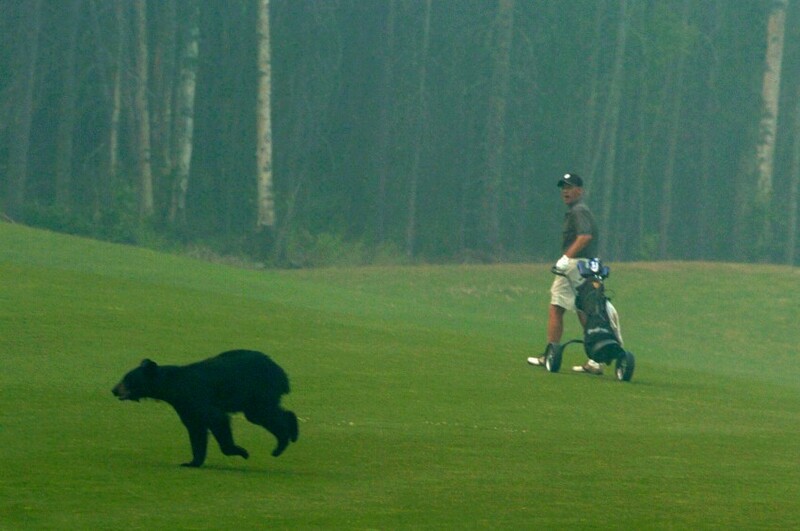 Murry Couzin glances back at a black bear darting across the fairway of the 13th hole of the Moose Run Creek Golf Course in Anchorage, Alaska on July 15, 2005, during play of the Alaska State Amateur Handicap Championship. 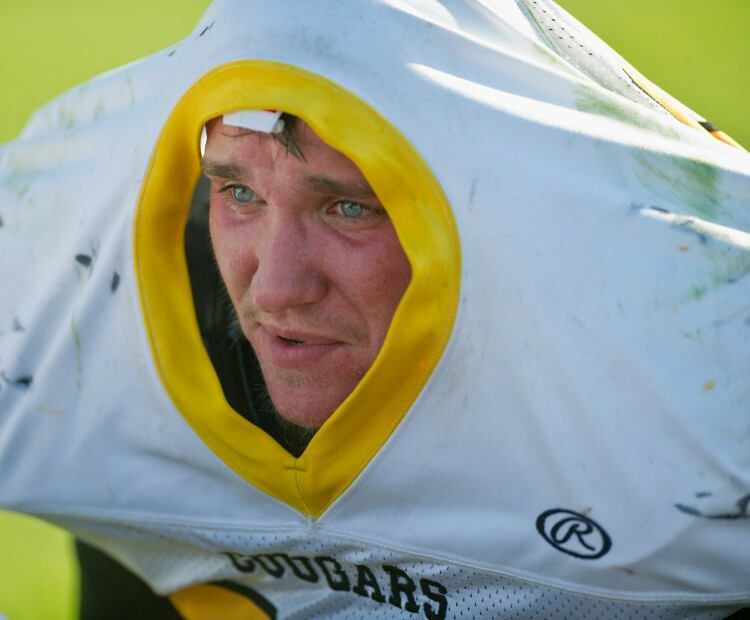 Voznesenka offensive lineman and middle linebacker David Sanarov covers his head from bugs while he listens to his coach at half-time on Friday, September 2, 2016. Ardrienna Everett gets ready for the novice women’s figure division. Twenty-one competitors participated in the 24th annual Anchorage Pro-Am Natural Bodybuilding, Fitness, Figure and Bikini Championships on Saturday night, October 1, 2011, at UAA’s Wendy Williamson Auditorium. Service’s Nick Butler’s helmet comes off as he tackles South’s Kahlil Autry. South’s Griffin Toomey gets in on the play at right. 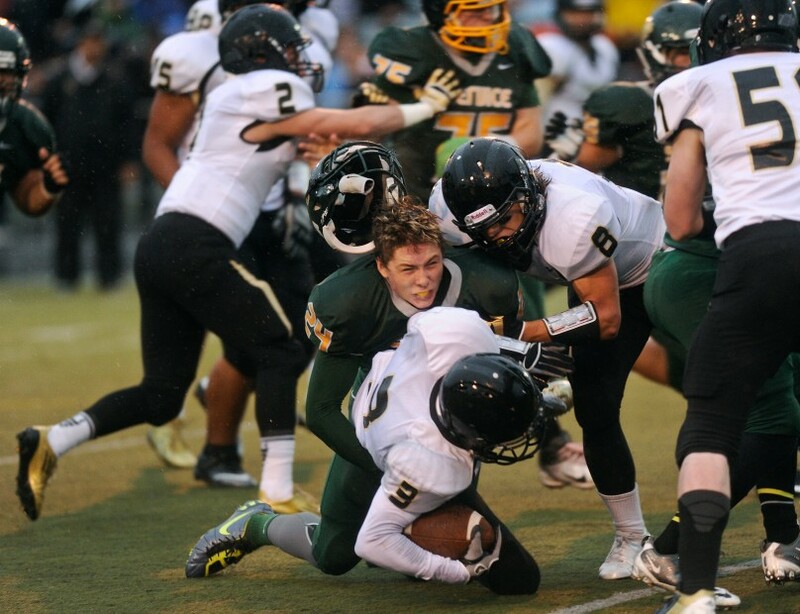 Service played South in a Cook Inlet Conference football game at Anchorage Football Stadium on Saturday, September 15, 2012. 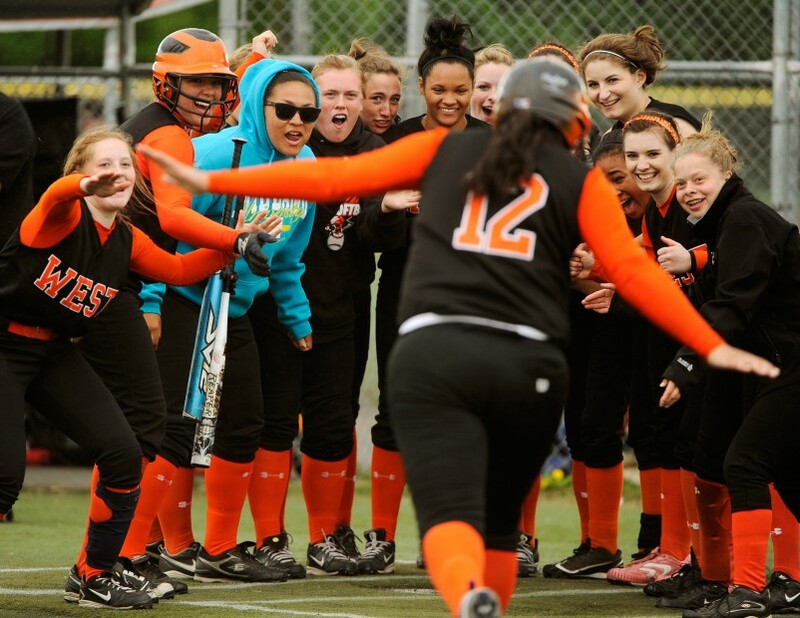 The West High Eagles softball team gathers at home plate to greet Pauline Tufi who hit a home run in the deciding game of the state championship softball game on Saturday, June 4, 2011.